The latest episode of our podcast is now available for direct download and streaming from the website or via subscription from iTunes. Feedback is most welcome! This month on The Writer and the Critic your hosts, Kirstyn McDermott and Ian Mond, begin by announcing the two patron-voted books which will be featured in the upcoming Patron’s Choice episode in September. There is also some discussion of the recently announced Man Booker longlist because IAN WAS RIGHT and both the novels featured THIS month are on the list! 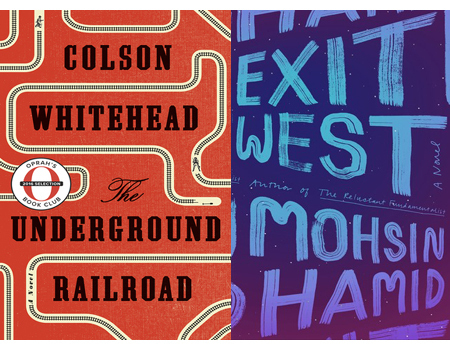 Those novel are of course The Underground Railroad by Colson Whitehead [11:30] and Exit West by Mohsin Hamid [1:01:00]. Read ahead and join in the spoilerific fun!